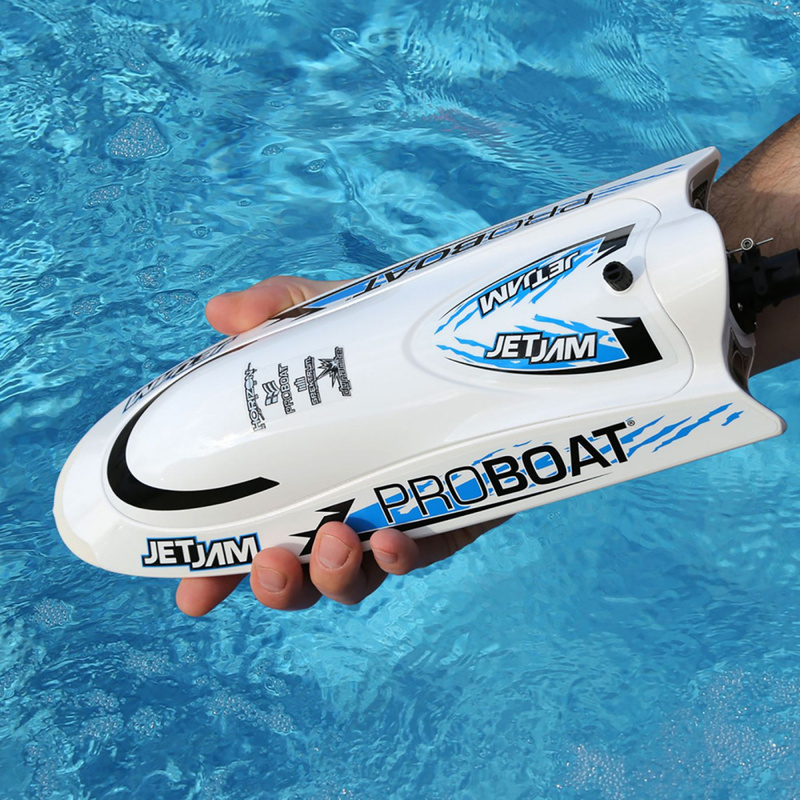 The self-righting Pro Boat Jet Jam is one of the coolest boats on the market. It's perfect for a day at the lake or an afternoon at the pool. 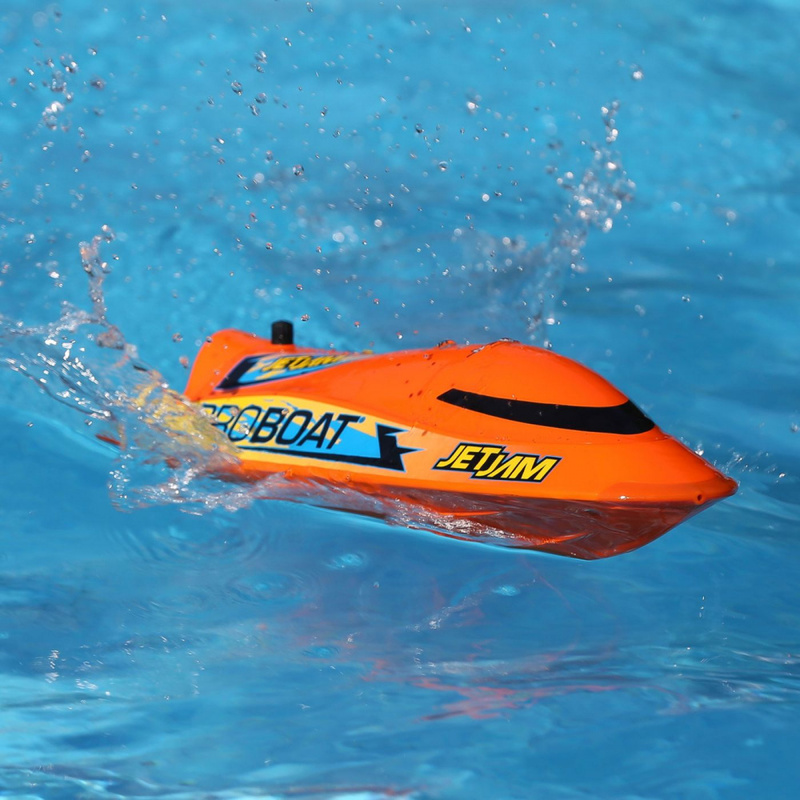 Whether the sun is shining or rain is pouring, you can run the Jet Jam in shallow water (as little as three inches!) or in deeper areas. Everything about this boat is designed for fun. 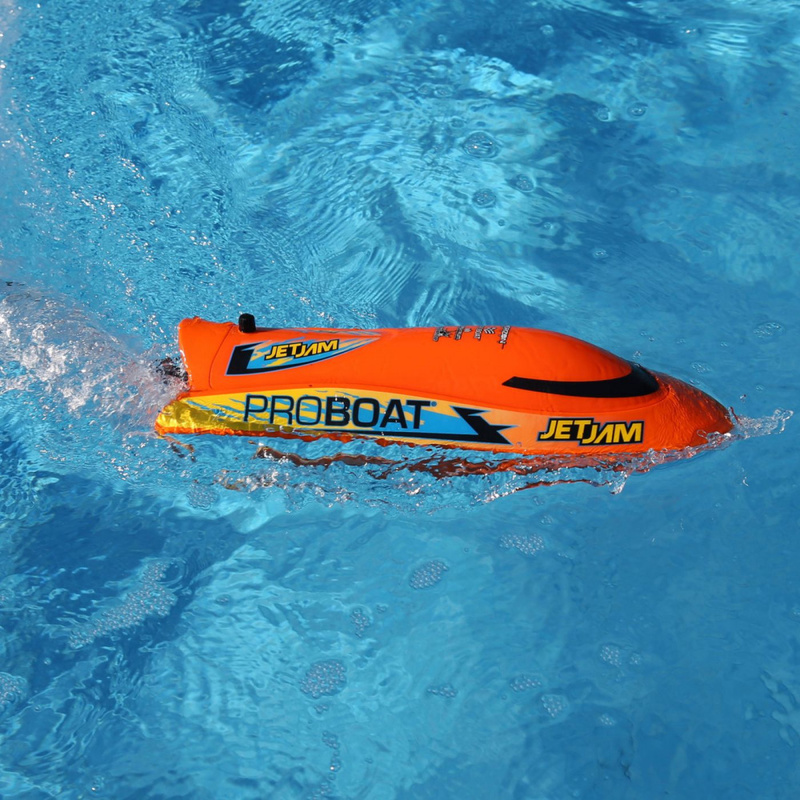 And with a jet pump and no exposed propeller, the Jet Jam offers a safe experience for everyone. 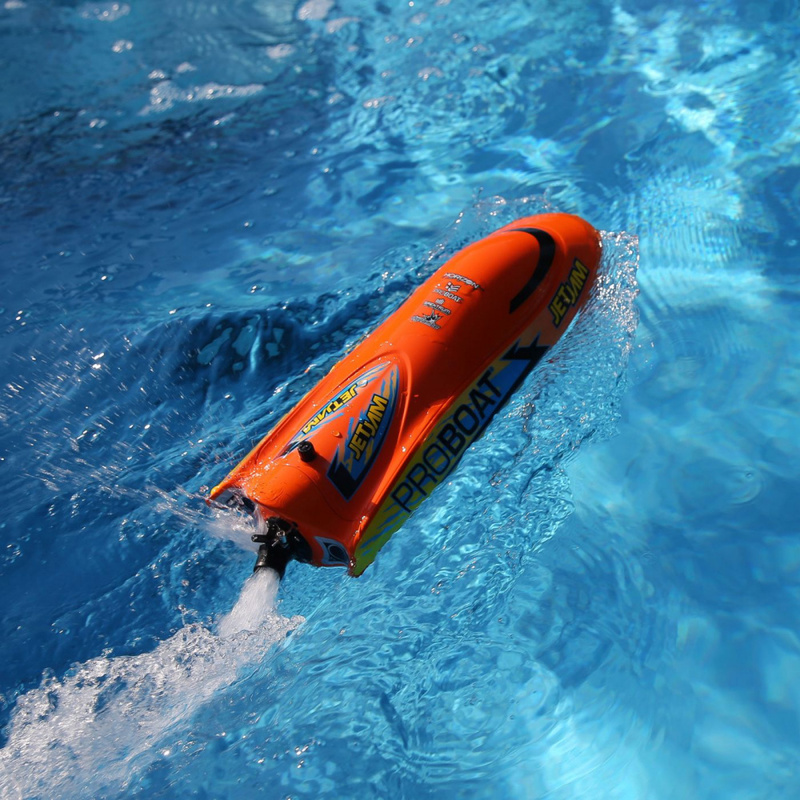 It even has a rubber bumper to prevent broken hulls or damage to the side of your pool. We also added a removable cup in the front so you can play pool soccer against your friends! Just add a ping pong ball or any other floating ball. 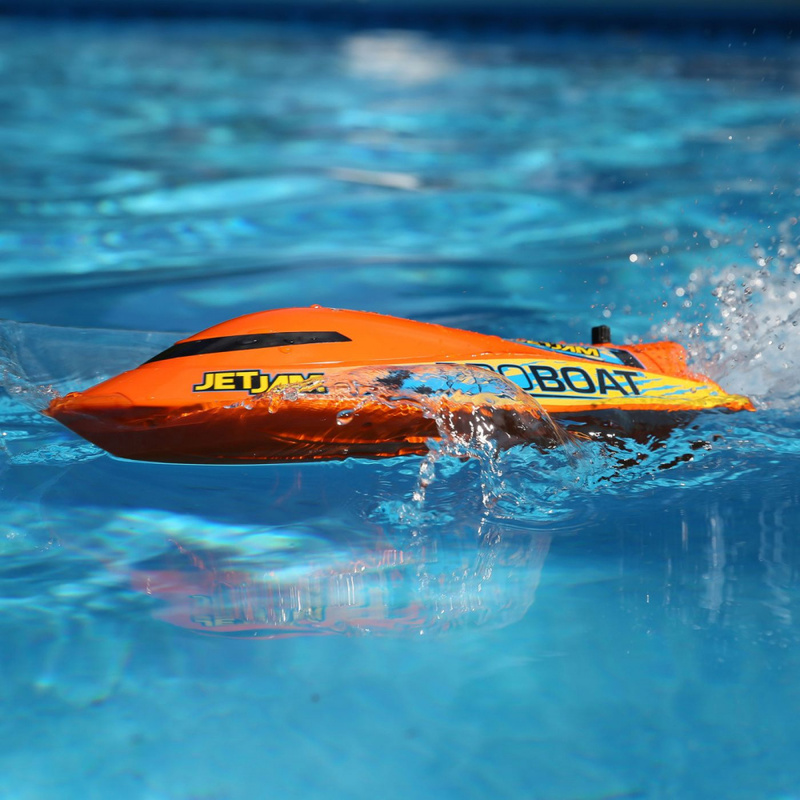 The Jet Jam is a self-righting watercraft. You'll never have to worry about being stranded upside down. With no exposed propeller the Jet Jam pump design offers a safe, worry free experience. 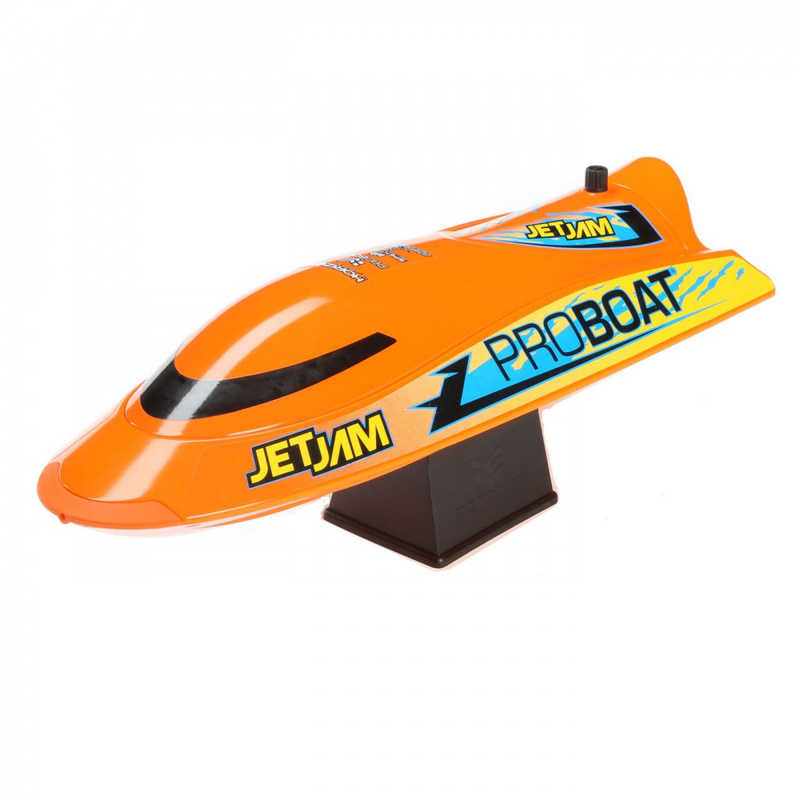 The Jet Jam is ready-to-run and includes a 2.4GHz radio system, battery and USB charger (AA transmitter batteries included). 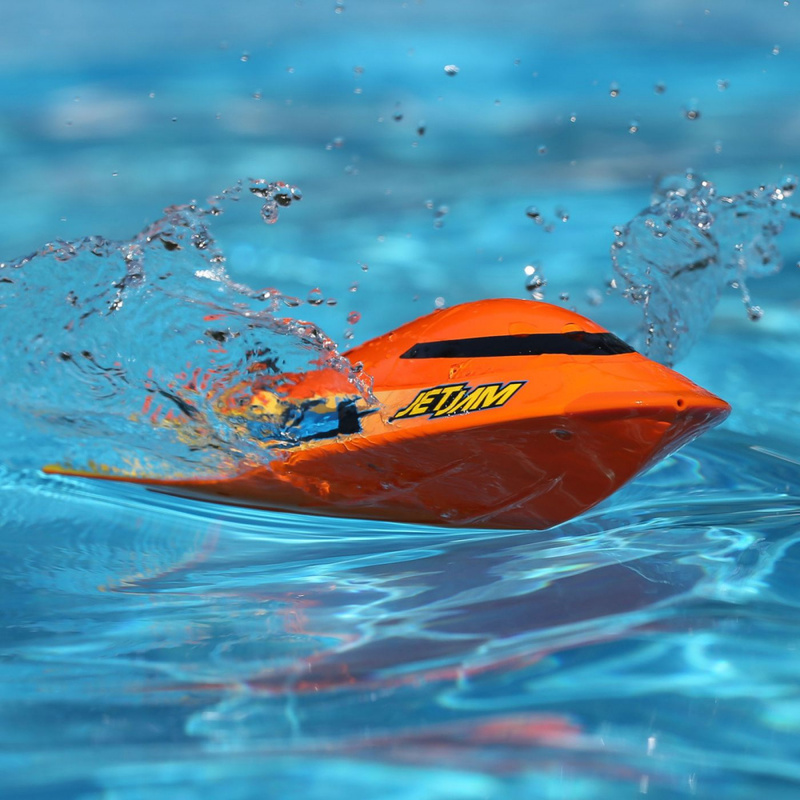 Comes with orange and white colored hulls and three different color decal sheets so you can personalize your boat. Up to six different color combinations are possible. 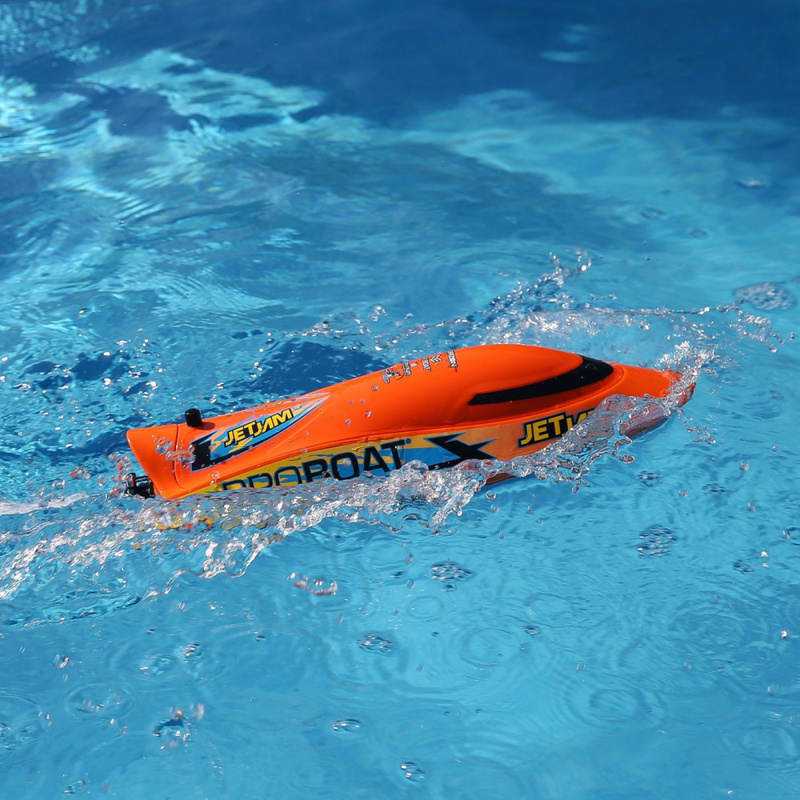 Hit the lake, pool, pond or a slow-moving river in practically any weather.